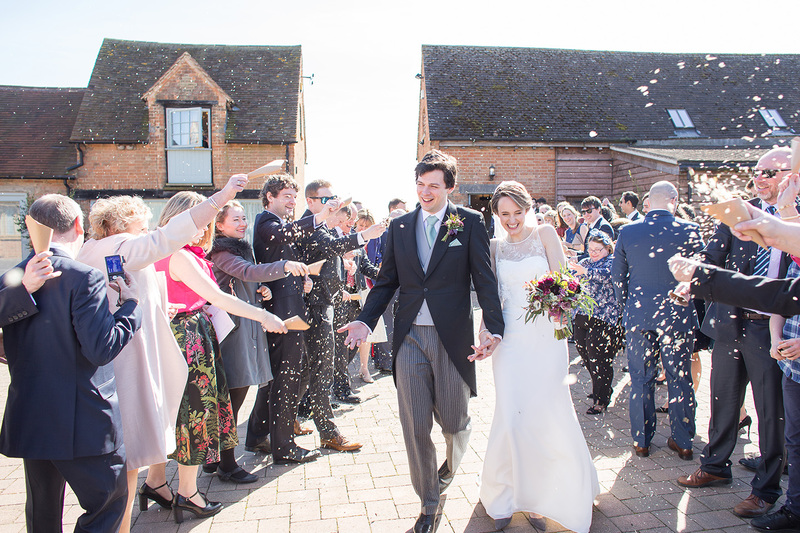 With a delicate, rustic colour scheme, country style, beautiful flowers and great entertainment, the March wedding of Claire and Jonathan was truly romantic. 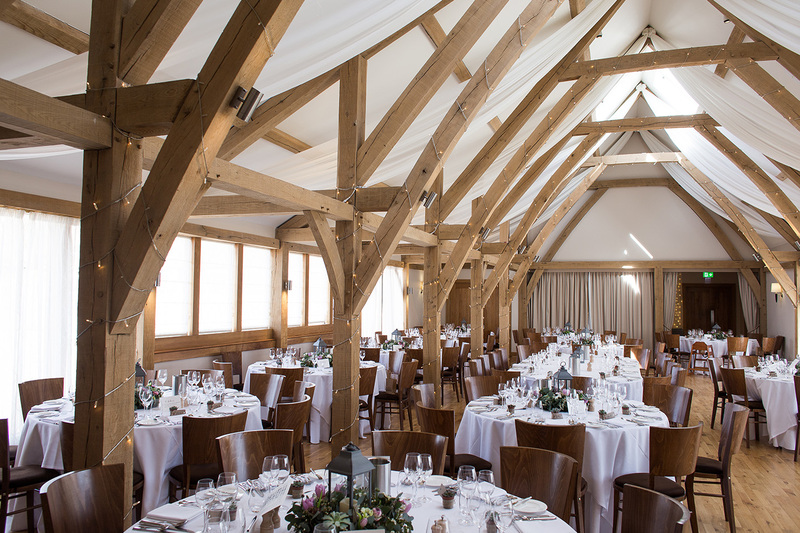 On the hunt for their dream wedding venue in Cambridgeshire, Claire and Jonathan fell in love with Bassmead Manor Barns on their first viewing. 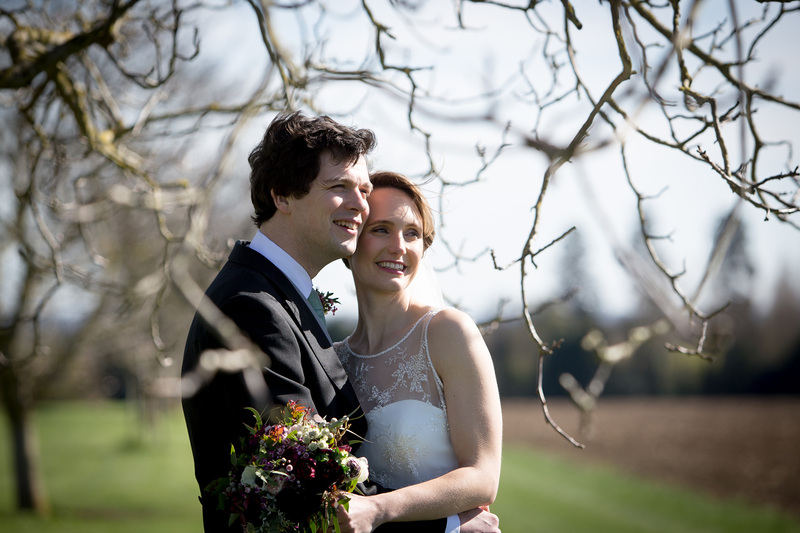 “It was the first venue we saw and it ticked all our boxes,” explains Claire. 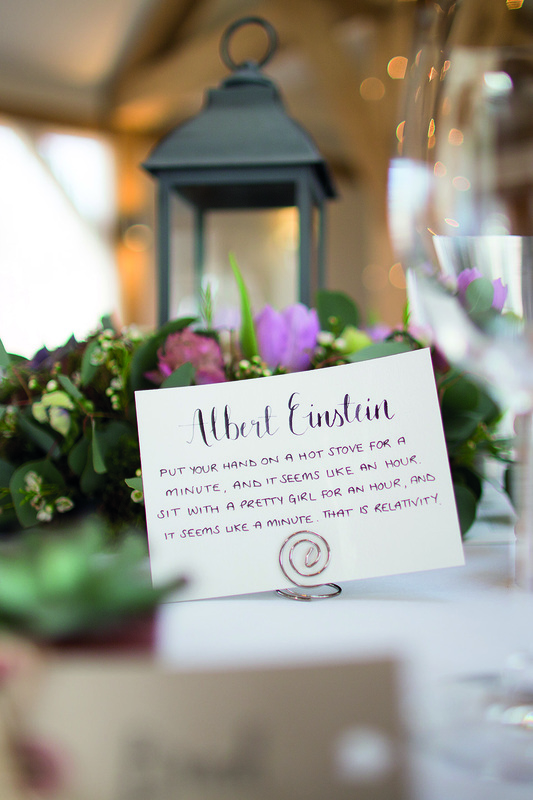 Setting a March wedding date, it was time to start planning their glorious spring wedding. The happy couple chose a country theme, incorporating foliage, wood and the delicate white, green and purple tones of succulents. Floral decorations included garlands and centrepieces intertwined with lanterns and candles. 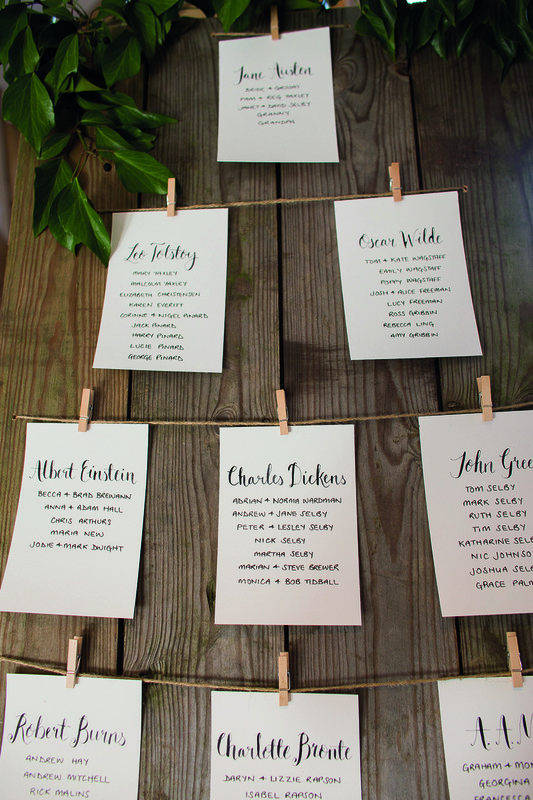 Having practised some calligraphy skills, Claire made the seating plan while their families helped to put together other pieces using wooden crates, wine boxes, rustic string and ivy. 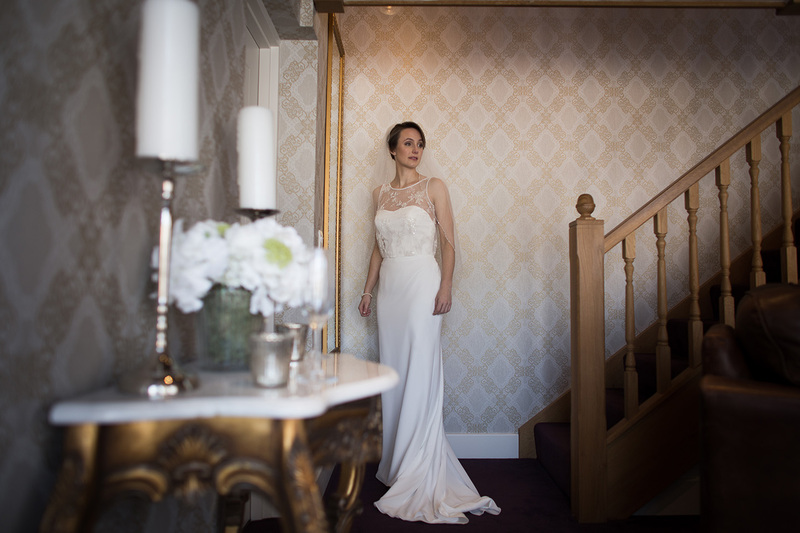 The beautiful bride wore a slim fitting, fishtail gown with lace overlay by Shamali at Daisy’s Bridal Couture in Raynes Park. “It had a tiny blue bow stitched inside, a gift from my sister who had worn the same bow in her wedding dress,” she smiles. Claire completed the look with a veil which she replaced with a sparkly headband in the evening. Her shoes were Jimmy Choo Romy 85 in taupe suede. Meanwhile, Jonathan looked the part in a traditional black herringbone morning suit with grey double-breasted waistcoat and a tie and pocket handkerchief in sage green. 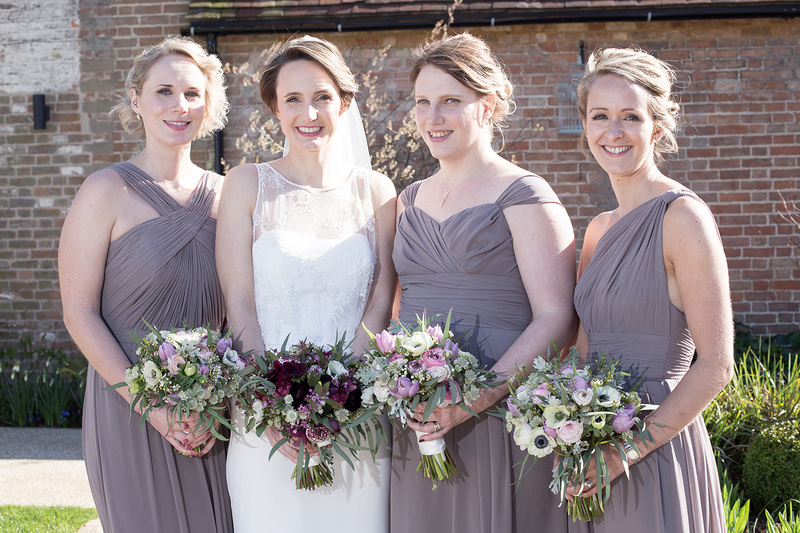 And finally… Claire’s bridesmaids were stunning in dresses from Watters. “They each chose their own dress style but we kept the fabric and colour the same,” explains Claire. 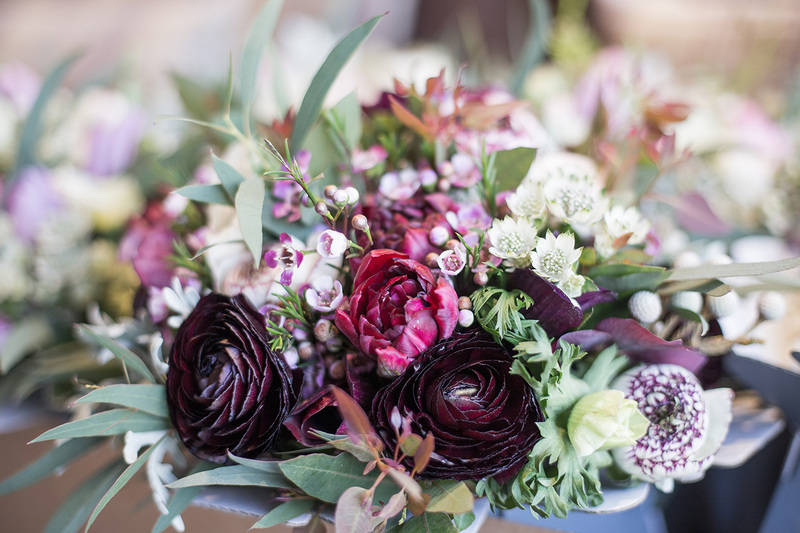 Gorgeous bouquets included anemones, ranunculus, waxflower, alstromeria and tulips with eucalyptus and rosemary. The striking flowers continued in to the venue with rose petals down the aisle in the Rickety Barn and mixed foliage garlands. 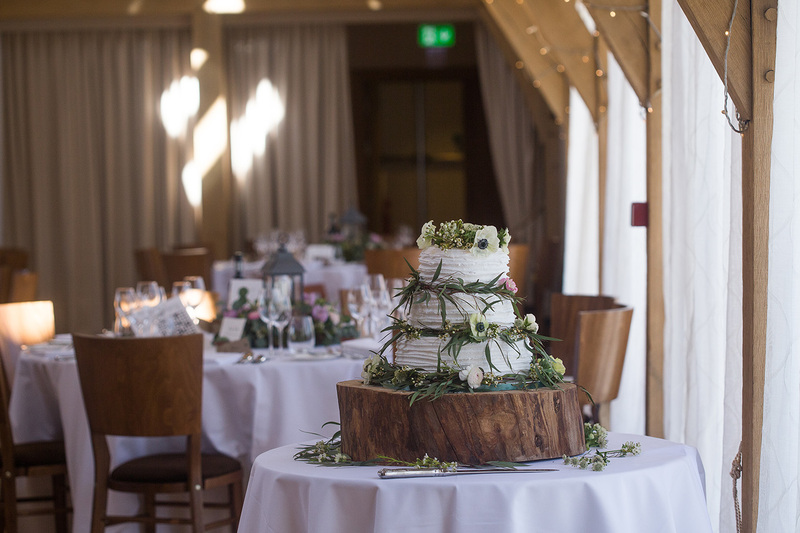 In the Bridge Barn, apple crates were filled with herbs, succulents and moss while each table featured an arrangement of flowers, foliage, moss, twigs and succulents incorporating a lantern. 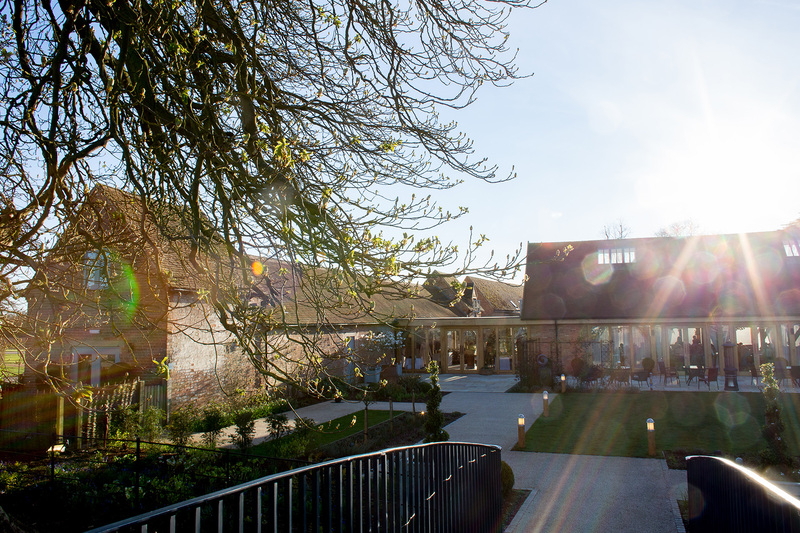 Following their romantic ceremony in the Rickety Barn, canapés and signature cocktails were served while The Cambridge Pianist played. Moving in to dine, a starter of lobster tart was followed by fillet steak and a trio of desserts. As day turned to evening, a live band called ‘The Kickstarters’ got the party started and the newlyweds danced their first dance to a version of ‘Love Me Like You Do’ by Ellie Goulding. 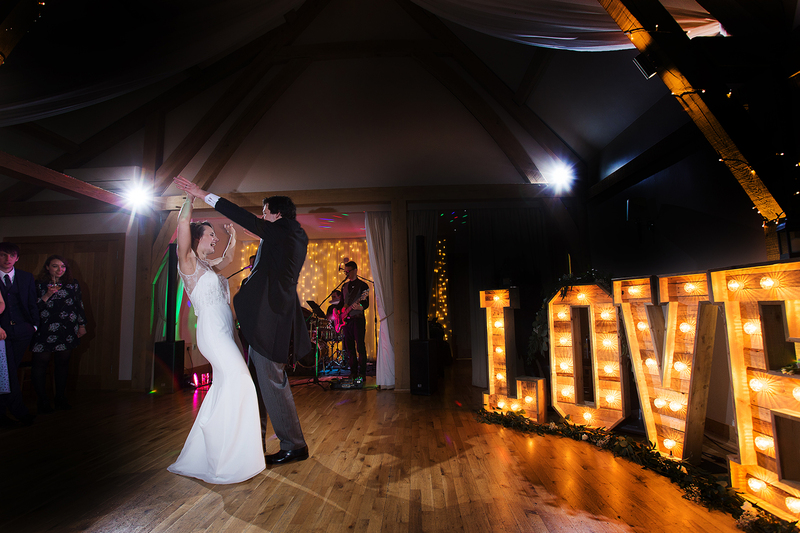 Rustic wooden ‘LOVE’ letters added a special touch to the corner of the dancefloor. 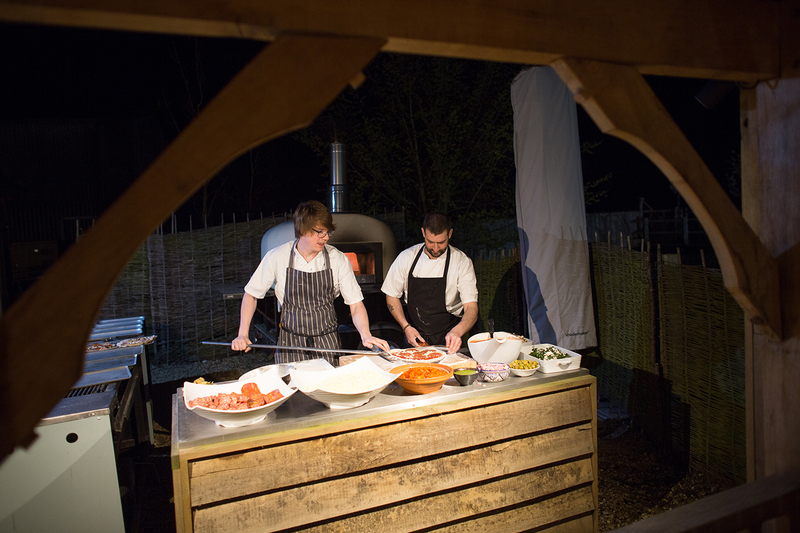 Cheese boards and wood-fired pizza proved the perfect choice for evening dining at the finale of this most special day. 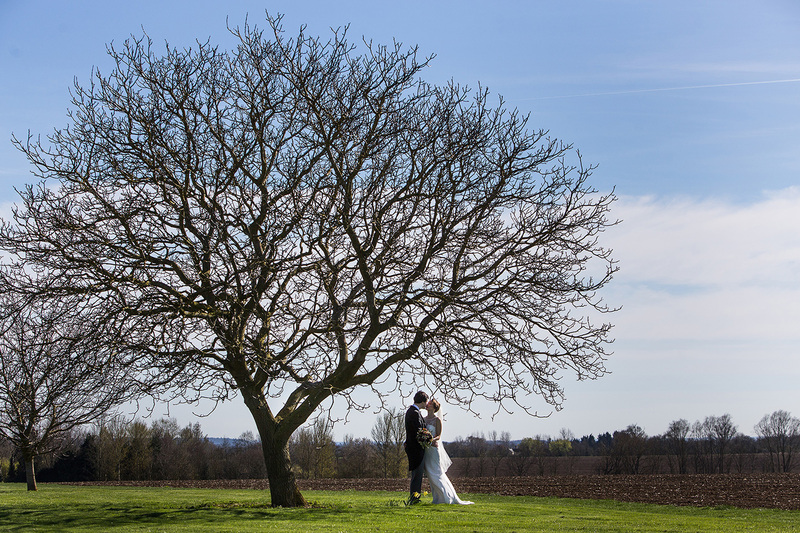 If you’re looking for more ideas for your special day, we hope you’ll also be inspired by the spring woodland wedding of Nicola and James at Bassmead Manor Barns.